Hyundai Motor India Limited (HMIL), the second largest car manufacturer in India, was formed on 6 May 1996. HMIL is the wholly owned unit of Hyundai Motor Company of South Korea. Hyundai is the fourth largest automobile manufacturer in the world, and is also considered as fastest growing automaker in the world. You can find cars manufactured by Hyundai motors in around 193 countries across the globe. HMIL is also ranked as the largest car exporter in India, which is currently exporting passenger cars to more than 115 countries. The manufacturing plant of the HMIL is situated near Chennai. The manufacturing unit also boosts of quality testing and R&amp;D capabilities. Hyundai cars have received a tremendous response in India mostly due to their high performance and fuel efficiency. You can find several models of Hyundai cars in India like EON, Santro, i10, i20, Accent, Verna, Sonata and Santa Fe. If you are looking for the battery for any of the Hyundai car models then you have landed at the right place. You will find batteries from leading brands like SF Sonic, Exide and Amaron for all the Hyundai car models. 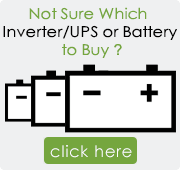 Purchasing car battery from our website is an extra advantage, as we provide free home delivery within 24 hours and also provide free installation. So, hurry, purchase a car battery for your Hyundai car right here right now.